Salisbury, North Carolina Real Estate: Own a Piece of History . . . With a Long History! 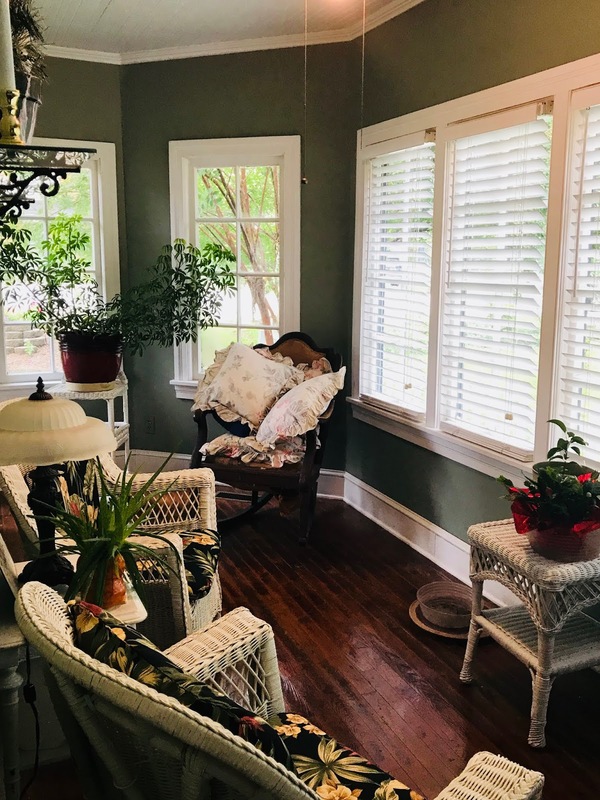 Gorgeous Historic Home for Sale! Own a Piece of History . . . With a Long History! Gorgeous Historic Home for Sale! If you love a good story . 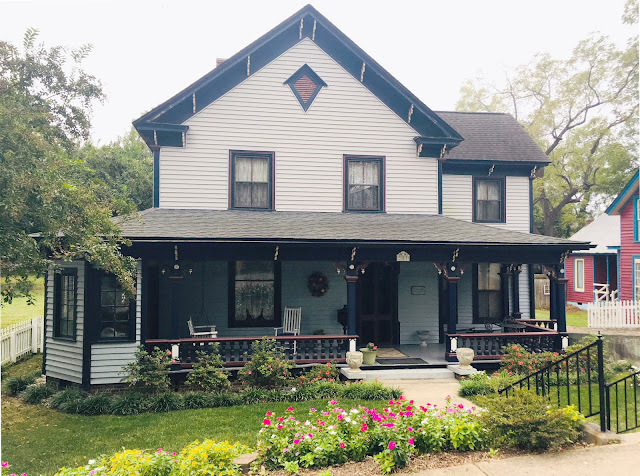 . . AND you love old houses that come with a good story, get ready to enter the circa 1885 home at 309 East Bank Street in Salisbury, North Carolina. You know a vintage home of this era has a story to tell! This spacious 4-bedroom/2 bath home is built on the historic Confederate Civil War Prison site near the location of the gates of the prison. 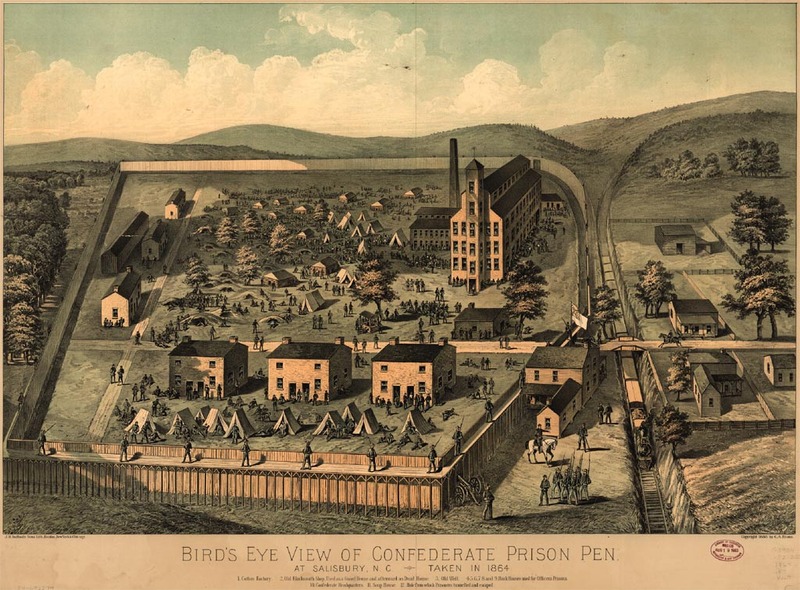 The Confederate Prison existed from 1861 - 1865 and consisted of approximately 17 acres. 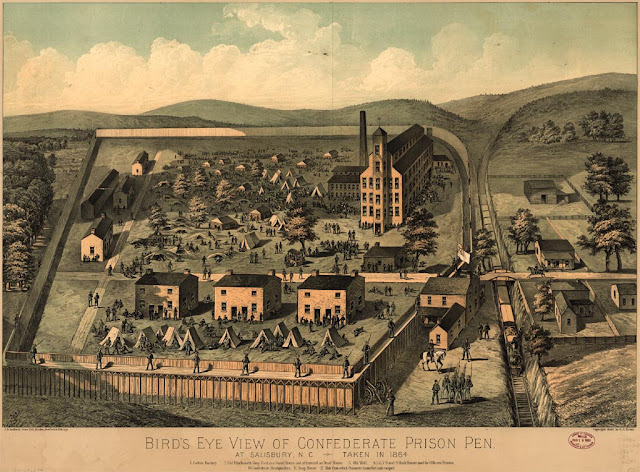 In 1866 the entire site was sold to the Holmes brothers, who began selling lots out of the parcel in about 1885. Mr. George Heilig purchased several lots from Reuben Holmes in 1885 then sold the first lot on the 300 block of E. Bank to David Julian in 1885 for $225.00. Welcome to The Julian-Phillips House. 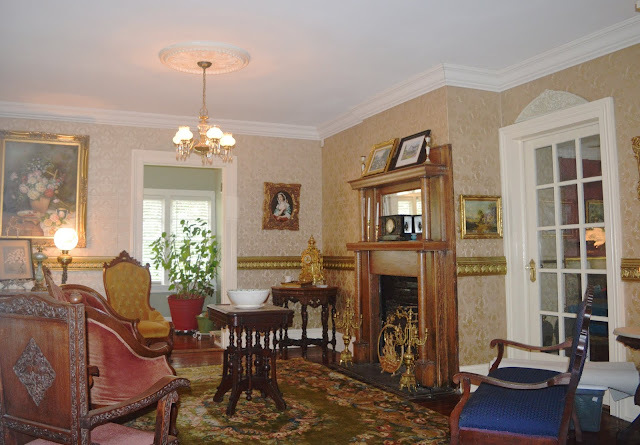 This stately circa 1885 home features many late Italianate/Victorian details. You'll see this as you step down into the sunken garden yard, rich with perennials and roses, and onto the gracious wrap-around porch, whose roof is supported by handsome corbels, a design element that is repeated long the upper eaves. Inside, parquet and hardwood floors and five fireplaces* greet you throughout. 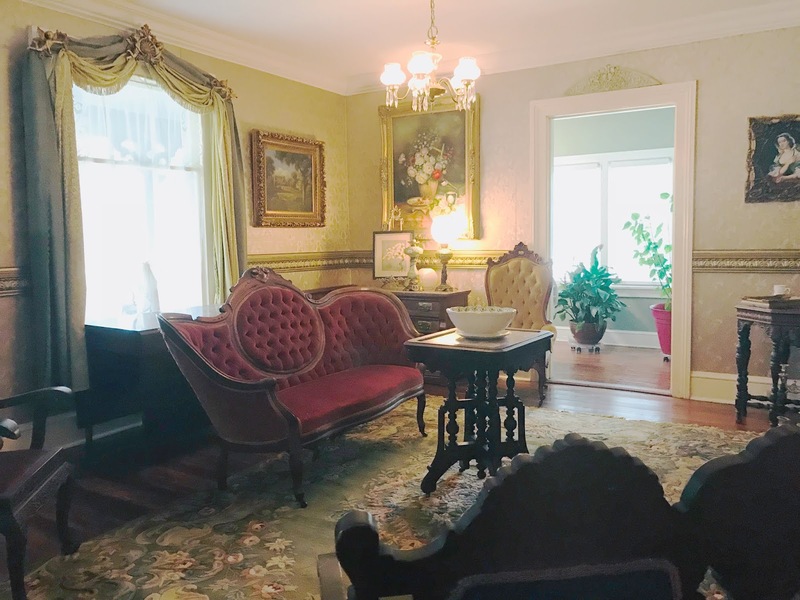 Downstairs, you'll find a beautiful formal front parlor with original fireplace and handsome wood mantel, a library and a den, the dining room and kitchen. The kitchen offers granite counters, a rimless sink, surface-mount electric cooktop, and plenty of cabinets. 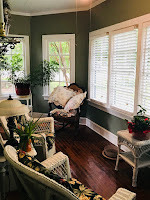 A cozy sunroom that streams morning sunlight will be your very favorite spot. 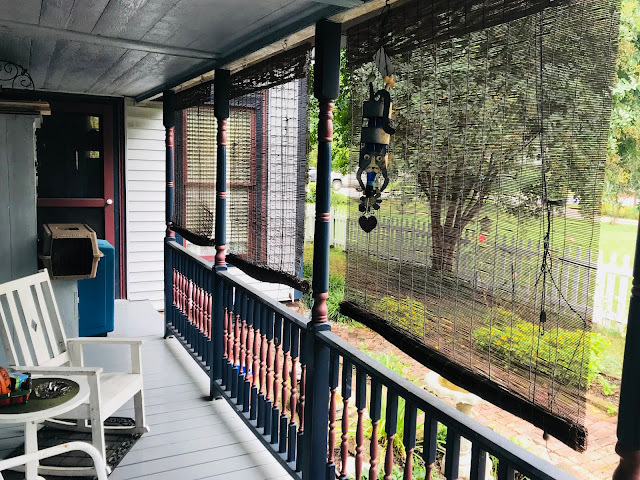 Additionally, a beautiful, very private 25'-long east-facing sunporch overlooking more manicured gardens and a brick patio rounds out the 1st floor. Morning coffee on the sunporch, anyone? The expansive and very spacious upper level hosts three more bedrooms, each more gracious than the last, a sitting room, and a large upstairs bath with tile floors, separate shower and claw-foot tub. 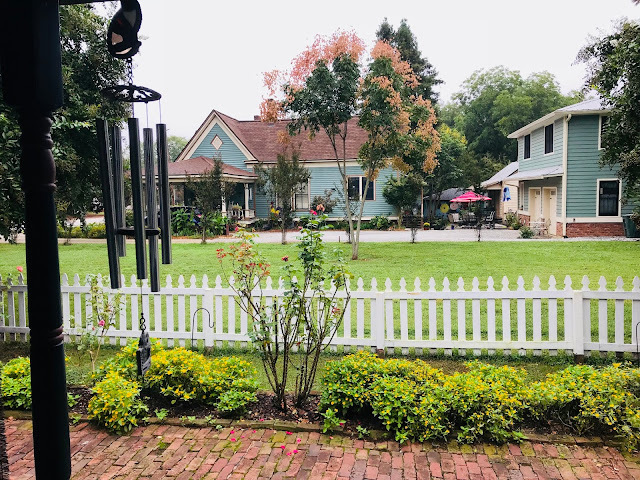 The Julian-Phillips House at 309 East Bank Street offers a large parking area to the rear of home at the end of a charming brick drive, more rose gardens, flowering trees, and gardenia bushes enclosed with picket fencing. 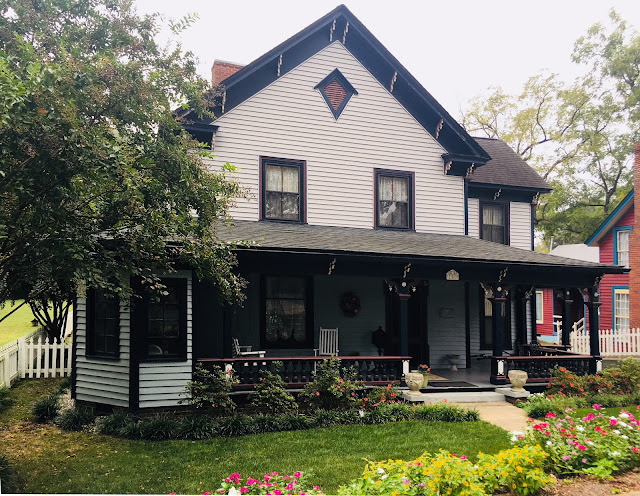 Located in the Brooklyn South Square Historic District, this fine home is eligible for Historic Preservation Incentive Grants from the City of Salisbury that assist homeowners with costs of exterior improvements and repairs. The neighborhood, filled an unbroken rhythm of of Pre- and Post-Civil War homes and large shade trees is close to downtown Salisbury unique shopping venues, a multitude of restaurants, Farmers Market, and nightlife. The Rowan Public Library is just a few blocks away. Symphony performances and three community theater troupes will have your activity calendar full. Need to get on the road? The Interstate is less than a 10-minute drive away...or hop on the Amtrak at the Historic Salisbury Depot, another few blocks to the northeast side of town, and take in events in nearby Charlotte, Greensboro or Winston-Salem. Located just four hours from the Atlantic Ocean and two hours by car to the Blue Ridge Mountains ~ it doesn't get any better than this! 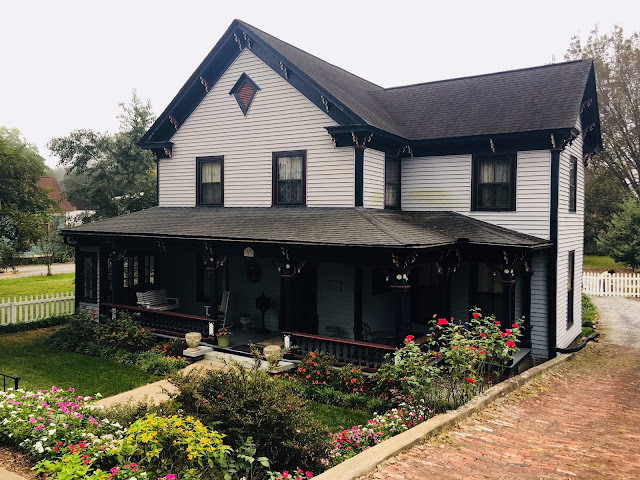 If the story hasn't already reeled you in, come see this fine vintage home for yourself and let its 123 years of history tell you its story in person. You'll be swept away. Give Realtor Greg Rapp at call: 704.213.6846, and let the story begin! * Five exposed fireplaces are currently non-functional. A sixth fireplace, per the current owner, is closed off. Storybook Ending for This Home Sale!